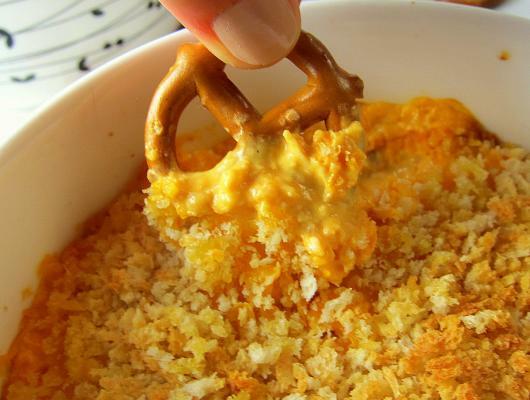 In a microwave-safe bowl, combine the cream cheese, shredded cheddar cheese, and the garlic buffalo wing sauce. Microwave for 30 seconds at a time, until the mixture is soft enough to be stirred (about 2 minutes total, but stop and check every 30 seconds, since all microwaves are different). Stir well. Drain the can of chicken. Add the chicken chunks and the blue cheese dressing to the dip. Transfer the dip into your bakeware (oven-safe bowls are perfect for this). Top with panko breadcrumbs. Bake at 375F for 15 minutes, or until the dip is bubbling around the edges and the breadcrumbs start to brown. Carefully remove from oven and let stand 5 minutes before serving so the bowl can cool down. 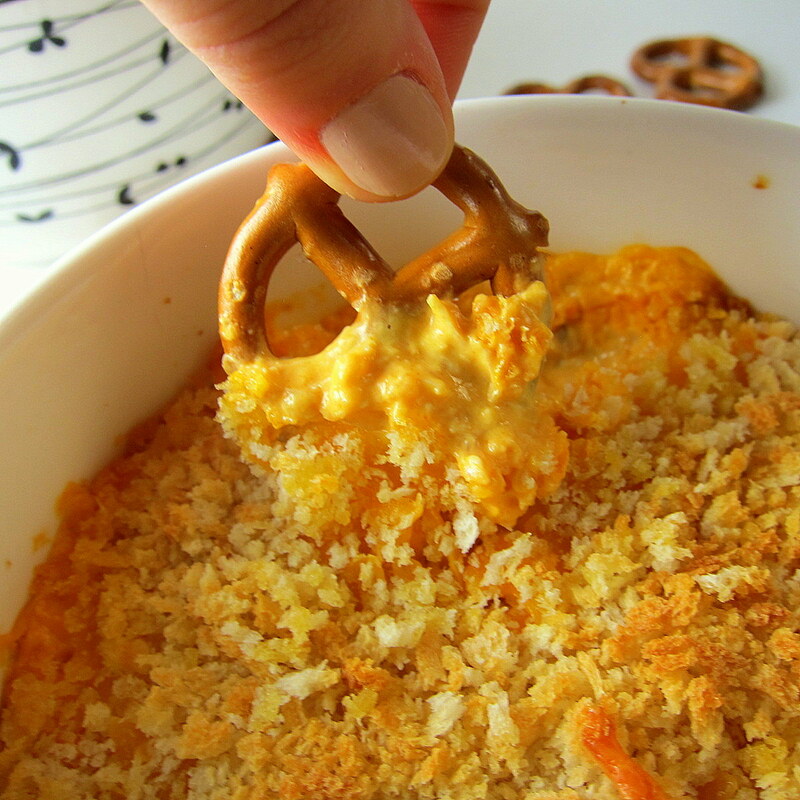 This Buffalo Chicken Cheese Dip is perfect for a Superbowl party, or for a dinner when you don't want to get your hands sticky with buffalo sauce.